Papaya is used in a lot of skincare products, it comes highly recommended and works amazing on all skintypes without side effects. 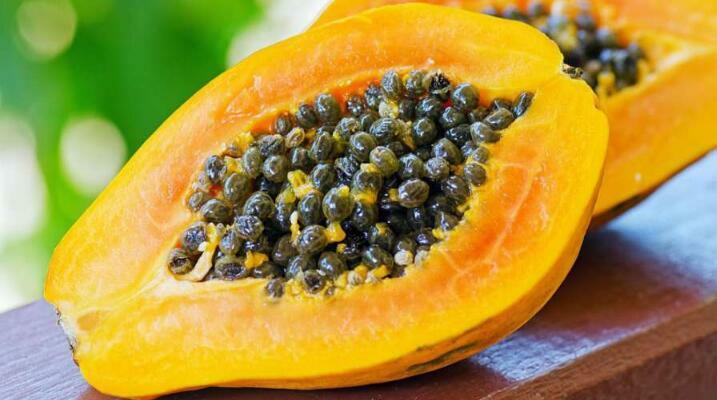 Pawpaw is a fruit that comes with immense health and skincare benefits and works on all types of skin especially the red ones called papaya that have been adapted into skincare regimes. (Paw paw are those with yellow flesh and tends to be larger compared to Papaya that comes in orange to red flesh and usually a smaller sized fruit). 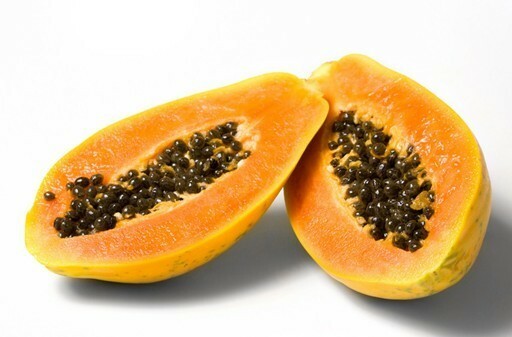 Papaya is used in a lot of skincare products including soaps, facial toners, masks and so on so it comes highly recommended and works amazing on all skintypes without side effects. Mix papaya and almonds together to form a smooth paste. Add unprocessed milk and mix all together thoroughly. Wash the face making sure it's properly cleansed and apply the paste all over the face. Leave this on for 30minutes and wash.
For oily skin, papaya is best used with fresh lemon juice. Mix lemon juice with papaya, mashing together to form a paste. Apply this to cleansed face and leave it on for about 20-30 minutes. For sensitive skin, papaya is best combined with honey and aloe vera. Mash the papaya and mix with honey and aloe vera, mixing thoroughly to form a paste. Apply this on cleansed face for about 20 to 30mins then rinse off.